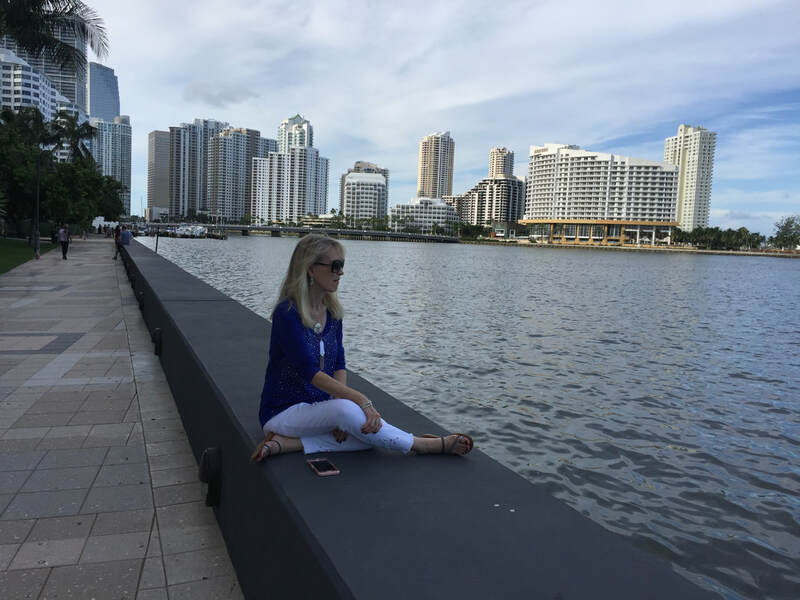 MIAMI_ Looking for a quick summer getaway or staycation ideas? Consider this formula: Brightline plus Travelzoo plus Lyft equals one good time. 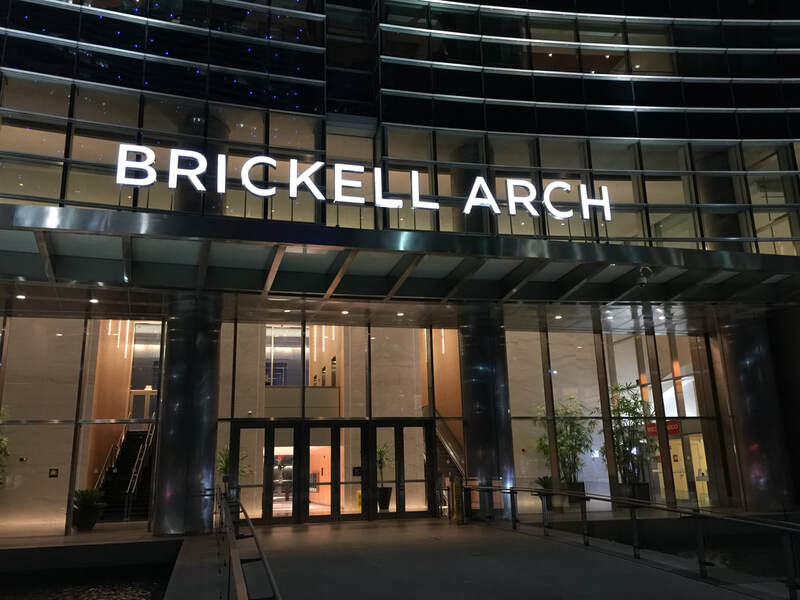 We did the math ourselves recently, taking Brightline from West Palm Beach to MiamiCentral in the heart of the downtown Miami area. 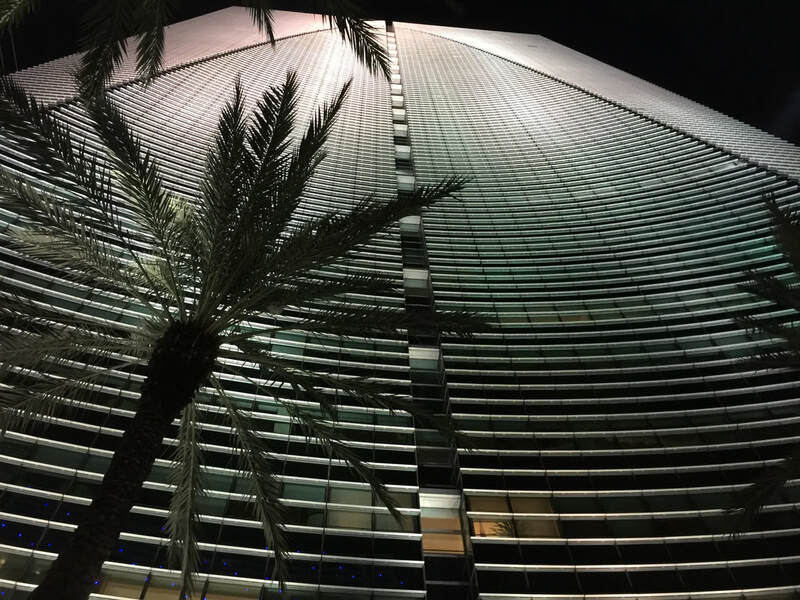 With the new, expanded West Palm-Miami service, you now have all day and late night options for taking Brightline. Brightline offers two classes of service: Smart (Economy) and Select (First Class). We opted to pay extra for Select and enjoyed the complimentary bottles of prosecco, one of Pam's favorites. Perfect to toast new adventures! 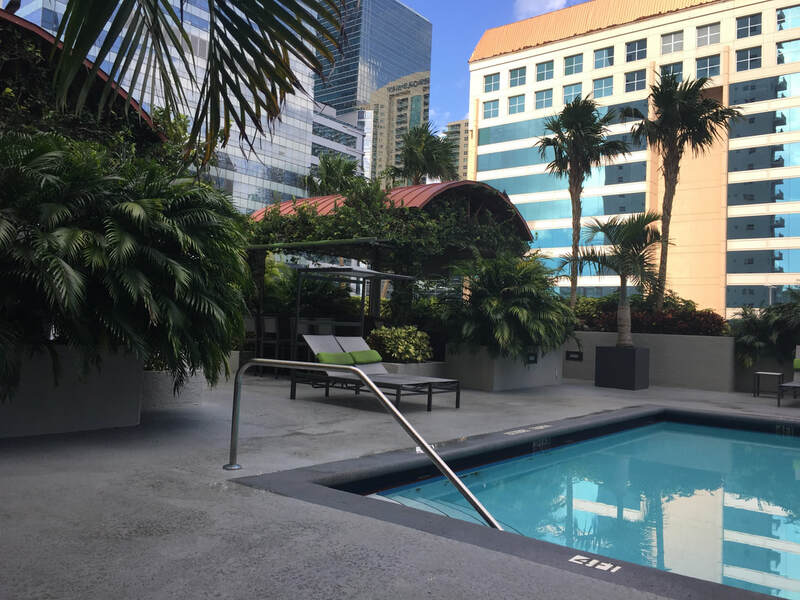 Our final destination was the Fortune House Hotel Suites, located on the hip and happening Brickell area of downtown Miami. Once we got off the train, we used the Lyft app to summon a car. It was almost there by the time we walked out of the station to the Lyft pickup area. If you haven't used Lyft (a Brightline partner), you should. A short time later, we were at our destination. Travelzoo has a special going on the Fortune House, and it's well worth it. Every room is a suite with its own fully-equipped kitchen and private balcony. Rooms are furnished in a chic style befitting their Brickell location. 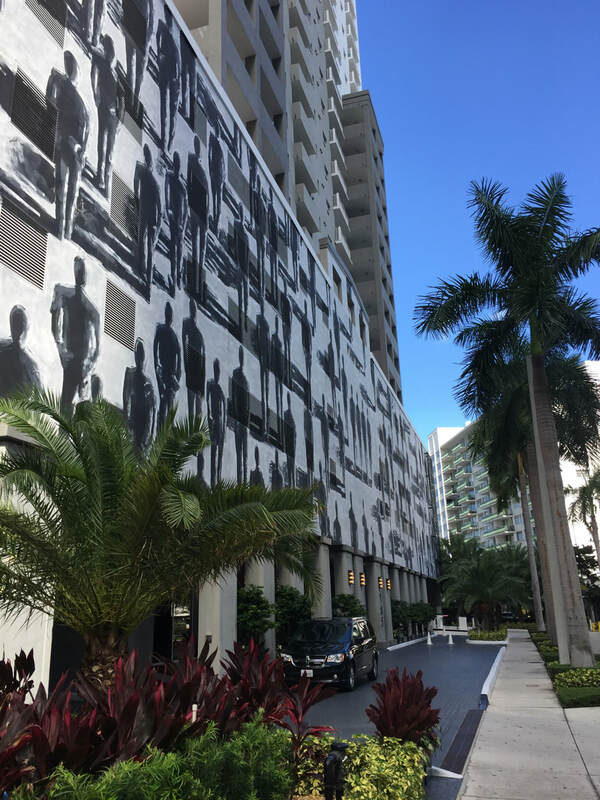 And the location is great: Steps away from Biscayne Bay and surrounded by dozens of Miami's finest restaurants, catering to every taste and style. 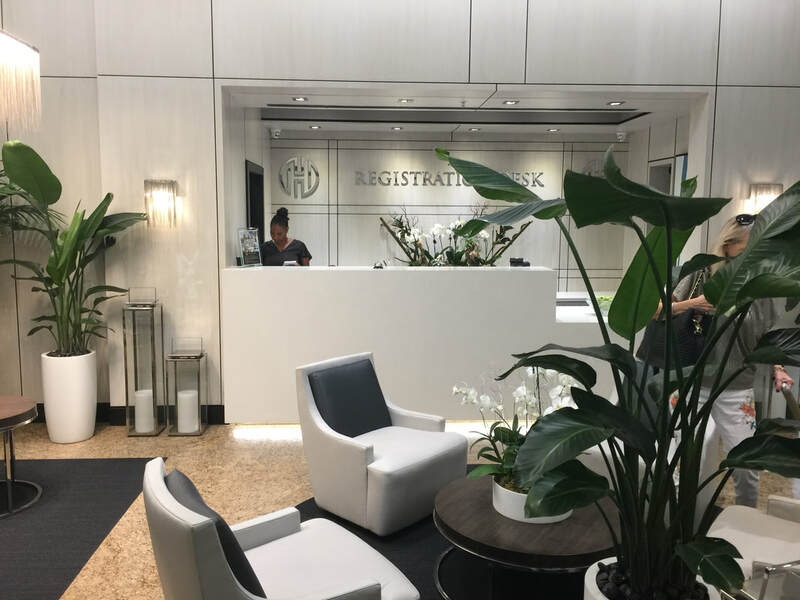 The lobby of the Fortune House, located at 185 SE 14th Terrace, reflects the contemporary vibe throughout the building. We booked a room on Travelzoo for just over $100 a night. Above, human figures dot the hotel's exterior. On the left is their swimming pool and cabana, located on the sixth floor along with the fitness center. Not a bad place to stretch out and kick back among the skyscrapers towering all around. 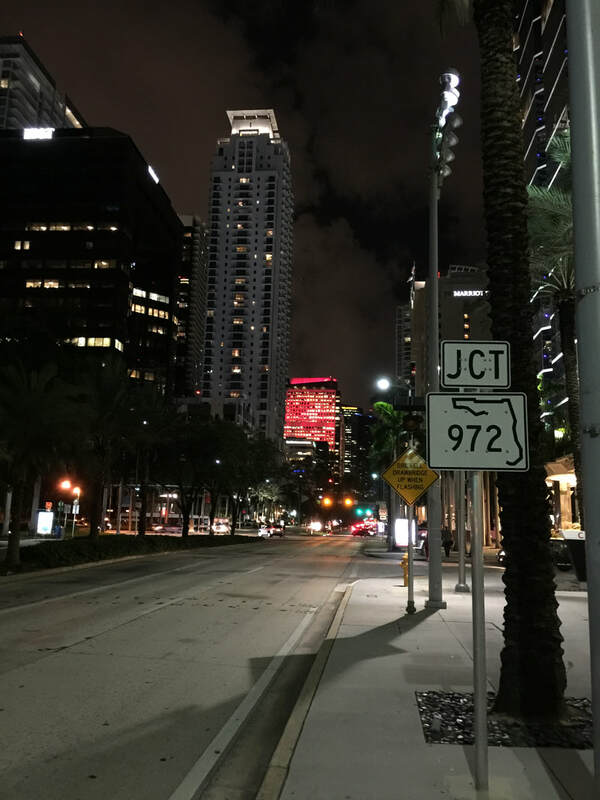 Brickell really comes alive at night. 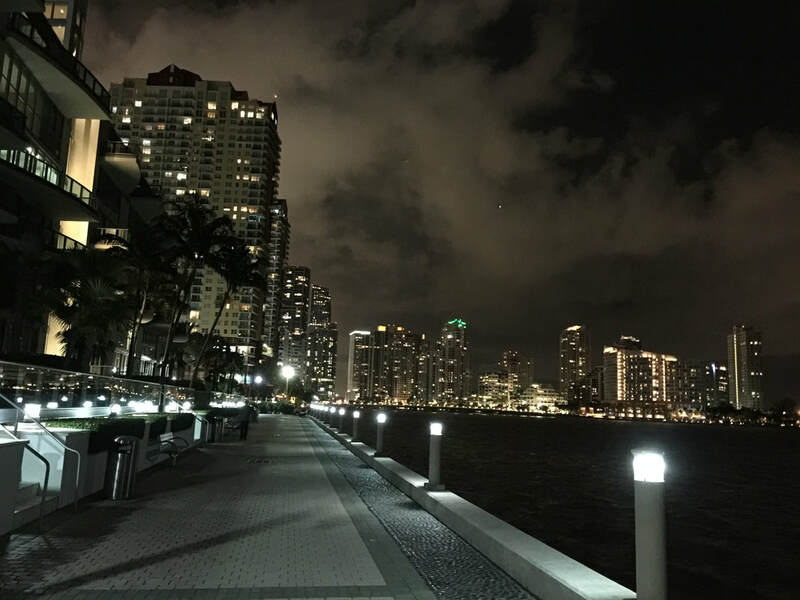 You can take a walk along Biscayne Bay as the city shimmers all around you. You could almost get vertigo just trying to see the top of this skyscraper on Brickell. ​We paid a visit to Morton's Steakhouse on Brickell. It's one of 50 or so Brickell/downtown restraurants participating in Miami Spice, offering prix fixe menus for lunch ($23) and dinner ($39). You'll find something for every taste. Speaking of Morton's, we have to give a shoutout to Trevor, the manager, and Anna, the bartender. They'll make you feel warm and welcomed. 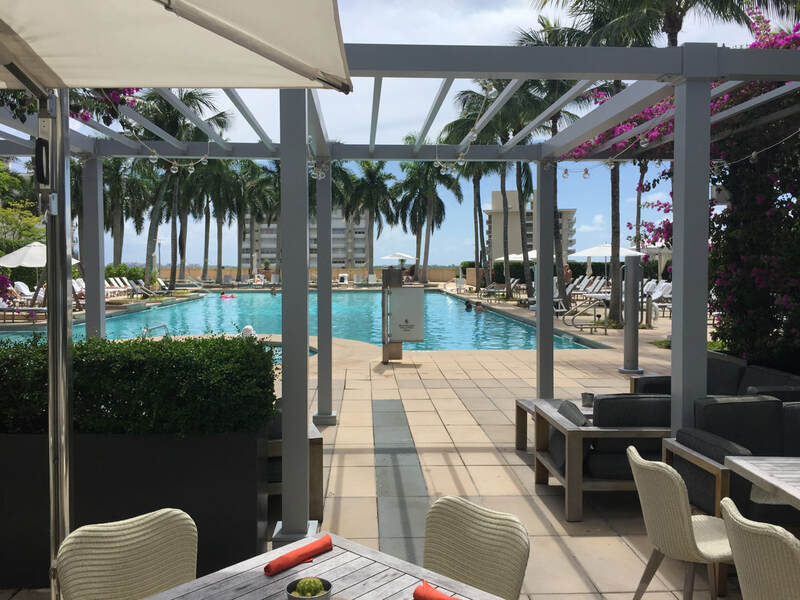 Time for lunch, and we found the perfect place poolside at Bahia, on the seventh floor of the Brickell Four Seasons. 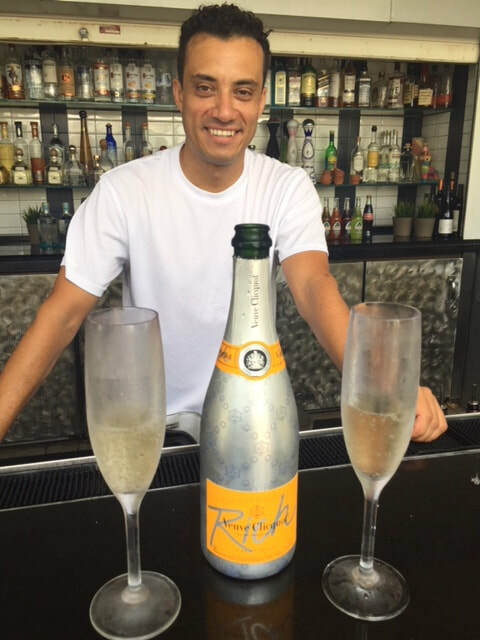 That's Sergio, our server, comparing notes with Pam on her favorite bubbly, Veuve Clicquot. We tried the tacos -- both fish and mojo chicken -- and sampled the Peruvian roasted corn. If you are in the area, look up Sergio. He is the master of all cocktails. 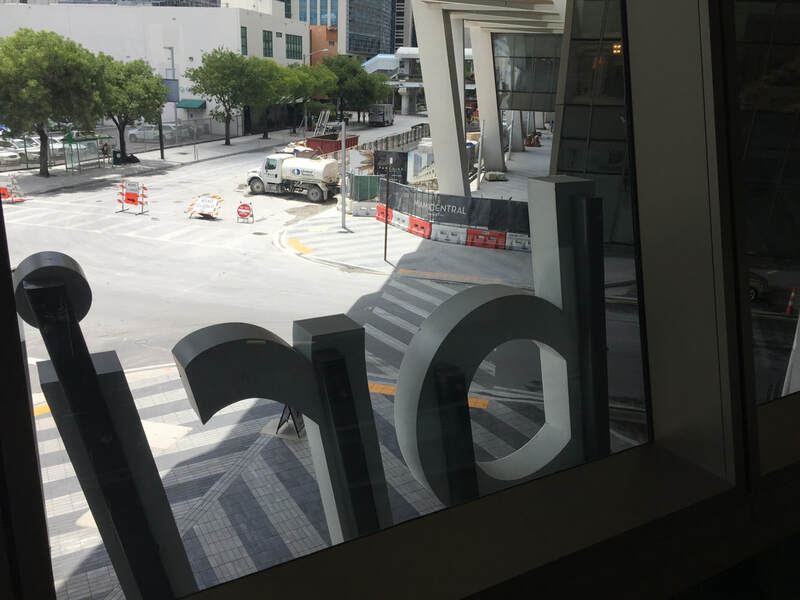 ​​Too soon it was time to summon Lyft and head back to the Brightline station at MiamiCentral, where construction is going full speed ahead. A Brightline employe told us they expect the 20 or so new restaurants coming to begin opening in December. Even more reasons to keep coming back!